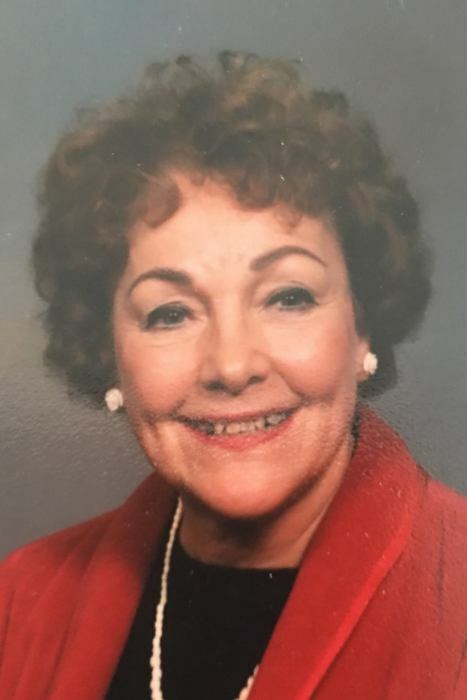 Rosemary "Midge" Bischof, 94, of Johnstown, died April 10, 2019 at Laurelwood Care Center. Born March 30, 1925 in Johnstown, daughter of Stephen J. and Rose Marie (Munzer) Bischof. Preceded in death by her parents, brothers Herbert and Stephen Bischof Jr., sisters Betty Lorditch, Bertha Mayer, Janet Clennon, and Rita Clark. Survived by numerous loving nieces and nephews. Rosemary was a 1942 graduate of Johnstown Catholic High School and received a Bachelor of Science degree from College of St. Francis, Illinois in 1946. After graduation, Rosemary joined United Airlines and in 1947, she became a Supervisor of Stewardesses Services. She retired from United Airlines in 1990. Rosemary became a wedding coordinator for the liturgy and several other church activities at Our Lady of Malibu Catholic Church in Malibu, CA. Rosemary then returned to Johnstown in 1990 and volunteered as a Eucharistic Minister at Mercy Nursing Care Center and at Our Mother of Sorrows Church. In 2014, Rosemary moved to Amber Springs at Laurelwood Care Center. The family would like to extend a special thank you to Lee Ann, Jordan, Tanya, Barb, Meghan, Martina, and Renee from Grane Hospice and Sheila, Jess, Nicky, Melissa, Allison, Chrissy, and Brittany from Amber Springs for your care and compassion. Friends and family will be received from 5-8 PM on Friday, April 12, 2019 at the Frank Duca Funeral Home, Westmont Chapel, 1622 Menoher Blvd. Johnstown PA 15905. Funeral Mass will be celebrated at 11:00 AM on Saturday, April 13, 2019 at Our Mother of Sorrows Catholic Church. Very Rev. Mark S. Begly. Interment, St. Joseph Cemetery, Geistown. In lieu of flowers, donations may be made to Our Mother of Sorrows Catholic Church, 415 Tioga Street, Johnstown PA 15905, or to Grane Hospice, 115 Union Avenue, Altoona PA 16602, in Rosemary's memory.